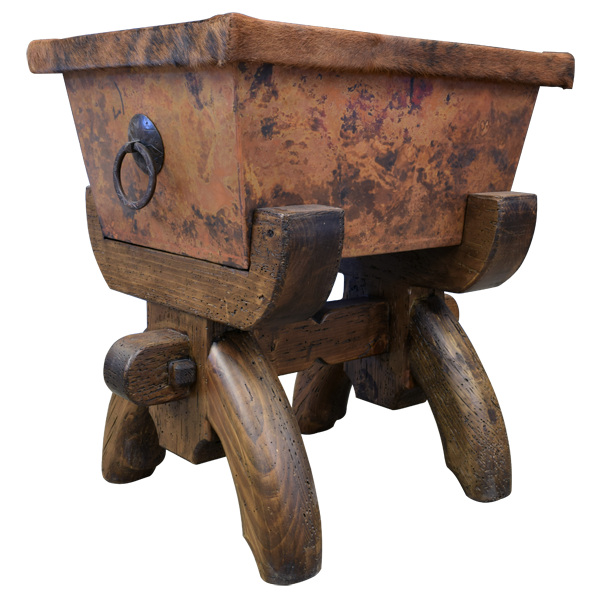 With its Spanish colonial design, this handcrafted end table will be a beautiful complement to your Western décor. 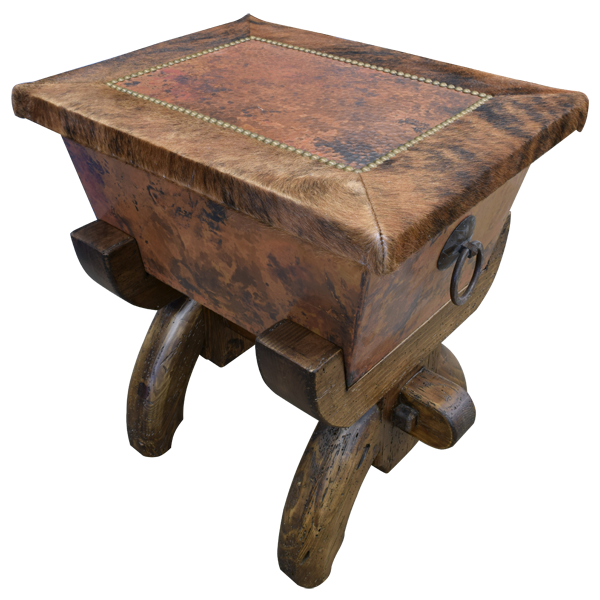 The end table has a solid wood base, and the base is covered with hand hammered copper. 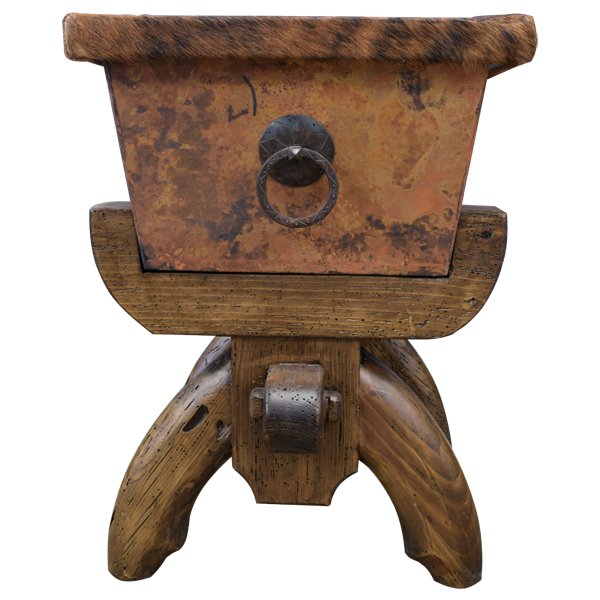 The front of the end table is adorned with a hand forged, iron, pull ring in its center. The base rest on a robust, solid wood, cross piece in the front and also in the back. The center of the table top of the end table is covered with a rectangular, hand hammered copper panel, and the copper panel is secured by hand tacked gilt nails. The outer portion of the top is covered with brown, patterned, real cowhide. 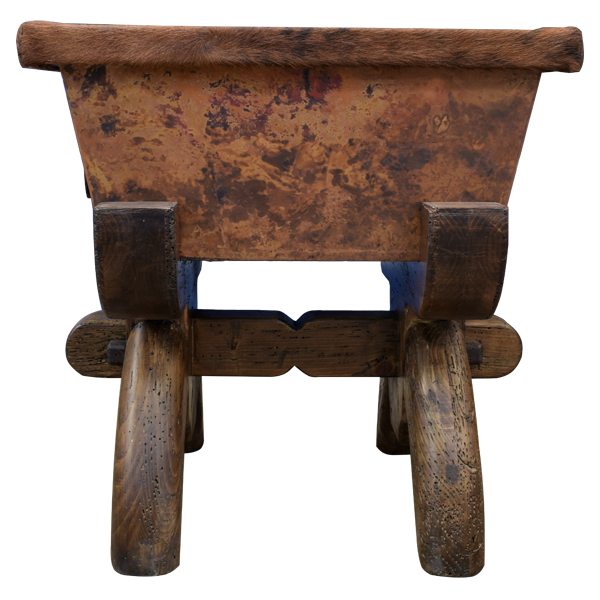 The table top rest on a solid wood base, and the base is covered with hand hammered copper. The end table is supported in the front and in the back by two, solid, curved, inverted “U” shaped pieces, which form its front and back legs. The end table is 100% customizable.